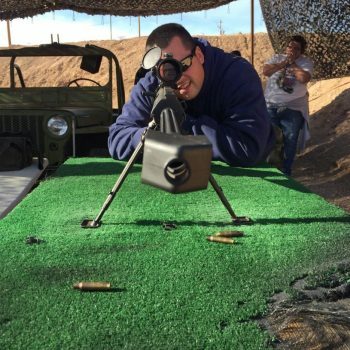 “Choose 1 Submachine gun, 1 Machine Gun, 1 Belt Fed Machine Gun, 9mm Glock, 1 Exploding Target and the amazing Barrett .50 Cal Sniper Rifle. Shoot at an EXPLODING target. 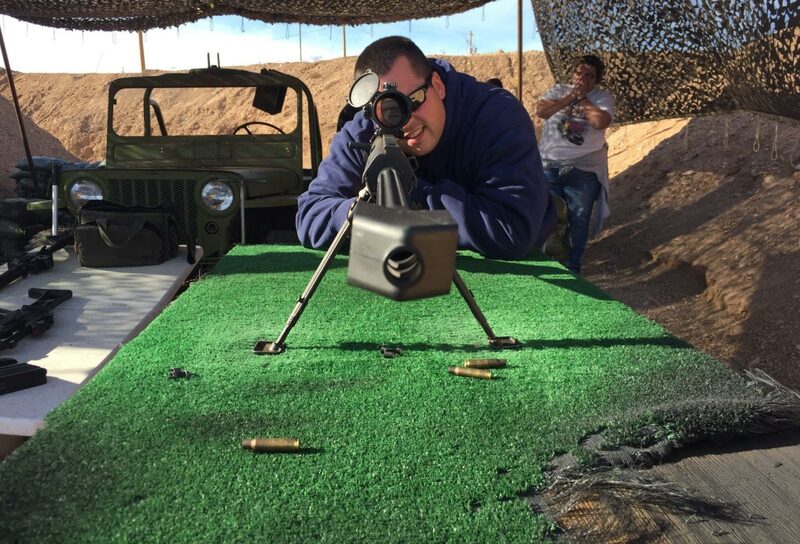 Amazing opportunities for Photos and Videos to share of you shooting each gun. 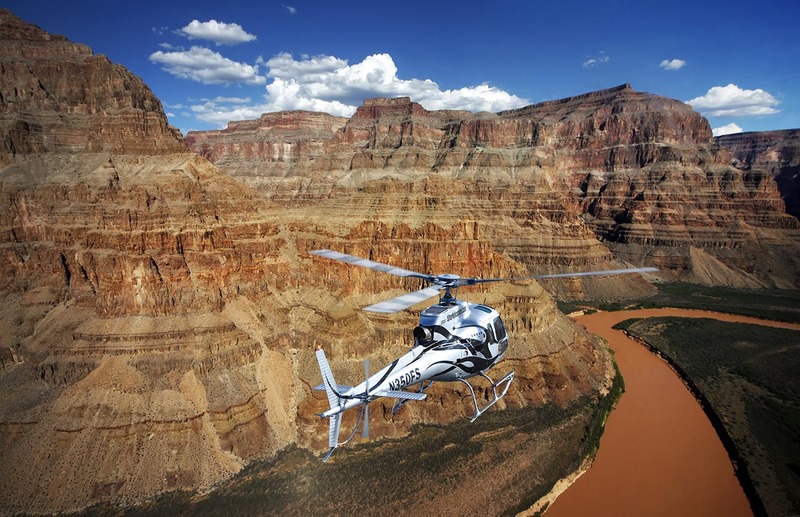 Travel in luxury & style to America’s #1 Natural Wonder of the World on-board a 5 Star VIP helicopter, specifically designed with forward-facing seats, and 180 degrees of unrestricted panoramic views. Experience spectacular aerial views of the magnificent Hoover Dam, Bypass Bridge, and Black Canyon. You will descend below the rim of the Grand Canyon, as you soar like an eagle over the mighty Colorado River, past geological rock formation that spans millions of years – around every corner are cathedral buttresses, pillars with amazing natural vivid colors. 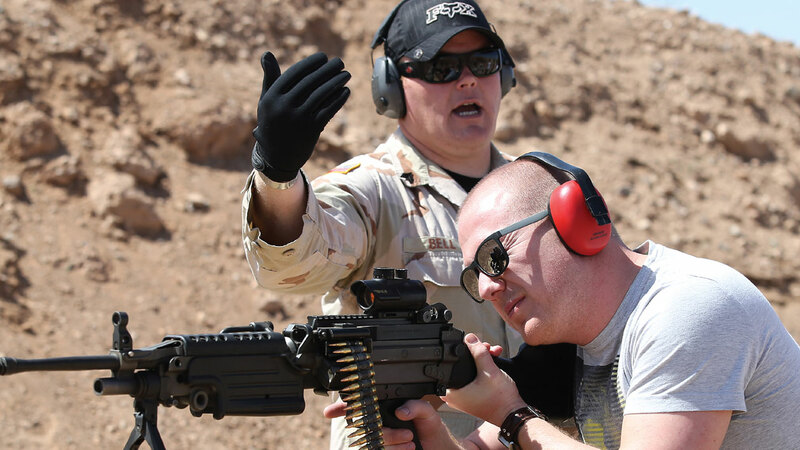 After enjoying a stunning extended air tour of 30 miles, above and below the Grand Canyon West Rim, you will be introduced to your Gun & Shooting Specialist. You will then drive past the Hoover Dam Bridge where you will have a 15-minute photo and video opportunity. 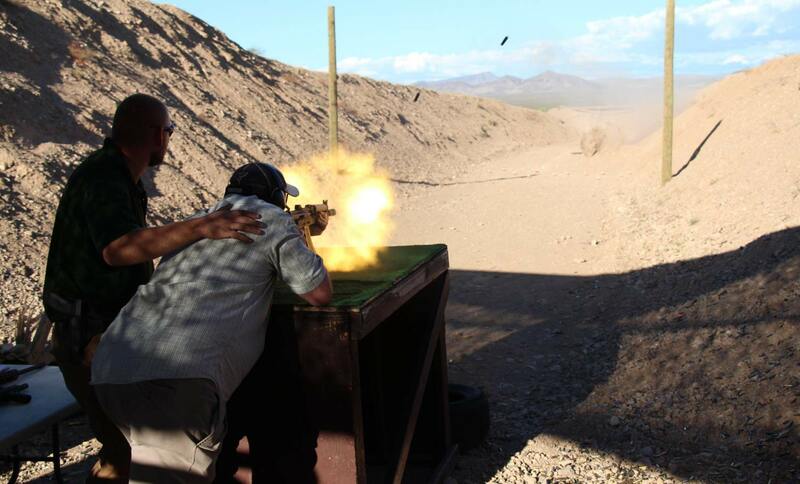 Following your arrival at the Bullets and Burgers Shooting Outdoor Shooting Range surrounded by stunning desert landscape, your specialist guide will introduce you to your weapons. 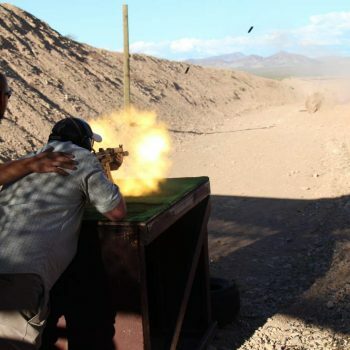 The outdoor range is superior to all other Las Vegas ranges with unique ‘Desert Storm’ atmosphere and military style bunkers. 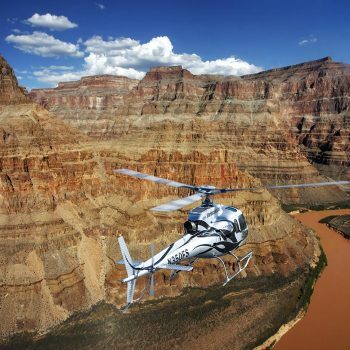 This Grand Canyon VIP Helicopter & Outdoor Shooting Range Experience combo will be the highlight of your Las Vegas stay, an adventure you won’t soon forget!